Don't let the short list of ingredients fool you, this high iron, high fiber dish is uniquely delicious. 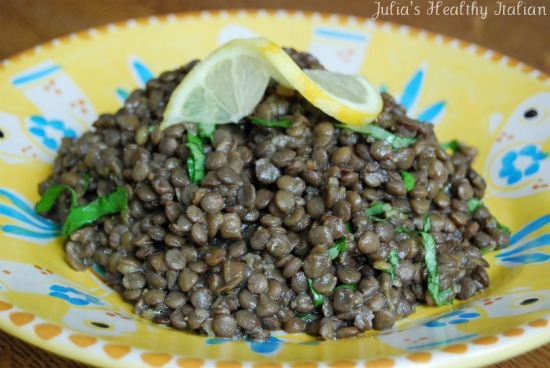 The fresh lemon zest works so well with these tender lentils. Its a healthy quick side to any meal. It's one of the few meals I've made thus far that doesn't have a serving size of 8! I guess I will have to double this for my team. Lentils are one of those foods that just has the potential to look frightening to children. When my children refuse certain foods, it can bring them to tears. Neophobia is a fear of new foods. I kid you not, I looked it up and beside, you just can't make this stuff up. With that in mind, we have created dinner table therapy to help them overcome their fear.